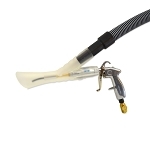 Our Tornador Car Tool line-up consists of the Tornador Car Cleaning Gun (Tornador Classic),Tornador Black and the Tornador Foam Gun. 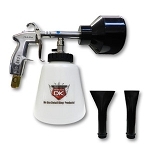 The Tornador Detailing Tools can be a detailer’s best friend when it comes to performing an interior car wash and exterior car wash. 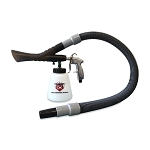 The Tornador Classic will quickly and efficiently help you clean interior door panels, dash boards, consoles, pockets, pedals, cracks, crevices and safely clean headliners. 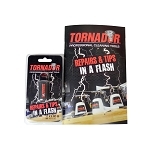 The Tornador Black is a Tornador Classic on steroids. Besides having a built-in regulator it is more powerful than the Classic and built with parts that do not wear out as readily. 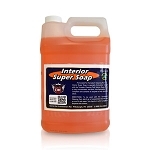 You will be able to cut down your interior cleaning in half while actually doing a better job. Getting the dirt and grime out of all the cracks and crevice that can be found in car’s interiors will be cinch. 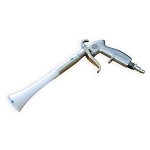 Using the Torandor Foam Gun actually makes washing your car fun again. 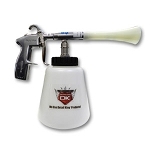 The Tornador Foam Gun dispenses mounds and mounds of foamy suds so and the best thing is that you only use two ounces of car wash soap! 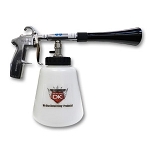 Typically two ounces of car wash soap will wash two cars, so not only does the Tornador Foam Gun enable you to wash cars faster but you actually use less a lot less soap!